LANHAM, Md. — Prince George's County Fire Department Lt. Ryan Emmons, a 30-year-old volunteer with the Prince George's County Fire Department, sustained the worst injury of the four firefighters riding in a apparatus Wednesday that was hit from behind by a tractor-trailer and flipped on its side. His arm had been severed at the elbow. Thanks in part to rescue workers who quickly packed the arm in ice and to a renowned surgeon, Lt. Emmons' may regain use of that arm. Dr. James Higgins, head of the hand institute at MedStar Union Memorial hospital, performed the surgery. He was one of 16 surgeons who recently performed a double-hand transplant on a war veteran. Dr. Higgins told local media that the next 72 hours will be the most critical for Lt. Emmons, who had veins removed from his leg to rebuild the veins his arm. Lt. Emmons is an 8-year veteran who had just been promoted last weekend. The other firefighters in the rig were Lt. Jack Lesqure, 24, Lt. Michael Simmons, 29, and Firefighter George Hirsch, 22. All four are volunteers. The crash occurred around 3 a.m. Wednesday when the PGFD rig was leaving a minor vehicle incident on an interstate. The apparatus made a U-turn at an emergency crossover and was struck from behind by the semi. The impact pushed the apparatus into an SUV and flipped both vehicles on their sides. Police told local media that the semi driver was the "favored driver" but did not elaborate on if that meant the apparatus driver was then at fault in the collision. Favored driver typically means that person had the right of way, but police are still investigating the collision. Police said the apparatus did not use lights and sirens during the U-turn. Battalion Chief Karen Shubin laid to rest - R.I.P Chief. Thank you for your service. Burial service for Karen Shubin, Cal Fire battalion chief, Jan. 29, 2013. Firefighters and other first responders from around the North Bay attended memorial services for Cal Fire battalion chief Karen Jones Shubin, who died Jan. 23 after a two-year battle with cancer. The funeral took place Tuesday morning at St. Mary's Episcopal Church in Napa and the burial was at Valley Memorial Park in Novato. Shubin, 47, worked for Cal Fire for 29 years, mostly in the Sonoma-Lake-Napa Unit, and most recently out of the Glen Ellen station, according to Division Chief David Shew. He said Shubin was diagnosed with brain cancer two years ago and did not go back to work after that. She is survived by her husband David, a fire captain in San Rafael, and their four children. Battalion Chief Ted Peterson of the Novato Fire District said Shubin has a brother-in-law with Novato Fire and one with Santa Rosa Fire. Shubin grew up and lived in Napa. She was a 1983 Napa High School graduate and earned a degree at UC Davis in 1987, according to the Napa Valley Register. Hundreds of people have left messages on Cal Fire's Facebook page honoring Shubin, calling her a "very dedicated professional" and "fun." Among the messages: "You fought the good fight — rest easy now, you've earned it." "R.I.P Chief. Thank you for your service." "See you on roll call." "Too young to die." "It is always sad when we lose our heroes." The messages have come from firefighters as far away as Sonora, Mexico; Ventura; Madera; and Santa Cruz. For those who would like to help defray the family's medical and other costs, send donations to the Shubin Family Trust, Rabobank, 700 Trancas St., Napa, CA 94558. A California fire account hidden from state lawmakers paid for $22,000 in metal detectors,$30,000 in GPS units – and $33,000 for a conference at a Pismo Beach resort, according to a spreadsheet released Tuesday showing expenses dating back to 2011. Since 2005, the state Department of Forestry and Fire Protection directed a share of high-dollar wildfire settlements to an off-budget fund managed by the California District Attorneys Association, the Los Angeles Times and Wall Street Journal reported Friday. Cal Fire Director Ken Pimlott told The Bee on Tuesday he never knew the $3.66 million fund was cloaked from state leaders and the Department of Finance. Cal Fire froze the account last year and scheduled it for dissolution in February at the request of the prosecutors' group. "I had no way of knowing whether Finance did or did not know about it," Pimlott said. "It was started in 2005." The Department of Finance and state lawmakers didn't know about the Wildland Fire Investigation Training and Equipment Fund, and they never tracked the money in the state budget. Finance officials are now conducting an audit of the "WiFiter" account, while the Joint Legislative Audit Committee plans to hold a hearing to examine accounts funded by legal settlements. Pimlott said he first learned of its off-book nature when a reporter questioned the department more than a week ago, after which he said he notified the Department of Finance. The Cal Fire controversy comes after The Bee reported last summer that the state Department of Parks and Recreation hid millions of dollars from state finance officials for years. The Cal Fire account was designed to help fire investigators and prosecutors at various state and local agencies, according to spokeswoman Janet Upton. Since 2005, the fund has paid for conference travel, as well as GPS vehicle trackers, storage sheds, cameras and computers, among other equipment, according to a spreadsheet and audit documents. Funds came from a variety of businesses facing allegations that they were to blame for past wildfires. The biggest payment was $794,763 from Sempra Energy in 2011 related to 2007 fires in the San Diego region. Asked why conferences and equipment couldn't be paid out of Cal Fire's general fund budget – projected to be $678 million next fiscal year – Upton said cutbacks made it difficult to fund specialized training and equipment for high-level fire investigations. "At some point you have to cut conferences," she said. "If they were funded by the general fund, they were going to be cut first." In 2012, the account paid for several training sessions in locales as varied as Sonoma and Visalia. The coastal conference at the Pismo Beach resort was a four-day training session that taught officials from across the state everything from litigation skills to records retrieval, Upton said. She said Cal Fire has a contract to serve as Pismo Beach's fire department, and that the resort was the only hotel there to provide a "state rate." Sen. Ted Gaines, R-Rocklin, called Tuesday for a criminal investigation into state officials behind the account. "Hiding funds outside the state system with an organization that is profiting from the account simply reeks of wrongdoing and demands to be looked into," Gaines said in a statement. CZU gets new Unit Chief "The Right Man For The Job"
Jalbert, who began his post Tuesday, Jan. 22, succeeds John Ferreira, who retired from in December after 10 years on the job. 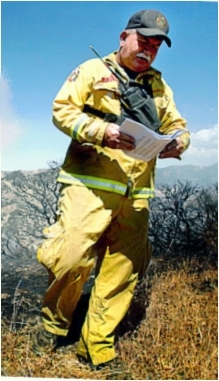 Jalbert, 44, began his career as a fire explorer in 1983 at the Cal Fire Belmont Station. He became a firefighter there in 1987 and advanced to a level-two firefighter in San Luis Obispo and then to an engineer in Lake County. He returned to San Mateo-Santa Cruz as a captain in 1998 and was part of a paramedic engine team in San Mateo. He was a training officer from 2001 to 2006 before his promotion to battalion chief in San Mateo, where he served from 2006 to 2010. Jalbert took over as division chief of Ben Lomond Camp in 2010 and became deputy chief of the San Mateo-Santa Cruz unit in 2011. He stepped up as acting unit chief when Ferreira retired. “I’ve got some big shoes to fill behind Chief Ferreira,” Jalbert said. 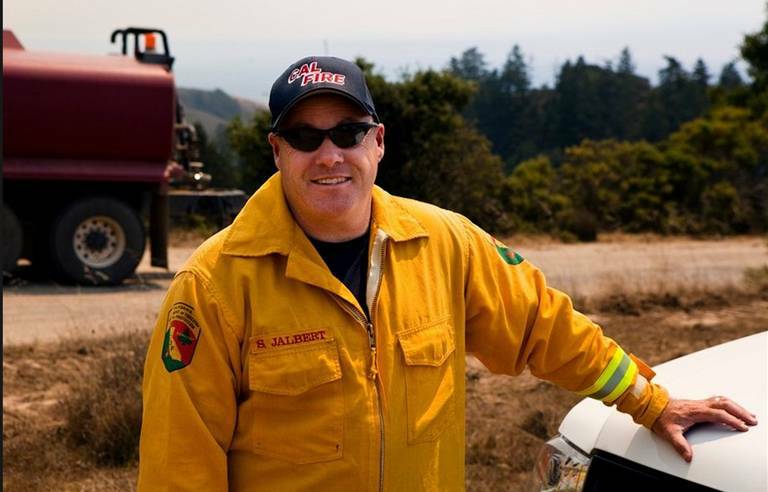 As unit chief, Jalbert is in charge of managing all aspects of Cal Fire’s San Mateo-Santa Cruz unit, including the Santa Cruz County Fire Department, Pajaro Valley Fire Department, Ben Lomond Conservation Camp, Soquel Demonstration Forest, San Mateo County Fire Department and Coastside Fire Protection District. He is also in charge of resource management and will coordinate mutual aid between departments for Santa Cruz County. “Anything that happens here has my name on it,” Jalbert said. Jalbert said his immediate priorities include continuing to improve fire protection and prevention programs and developing his management team. Among that team are Rob Sherman of Ben Lomond, who was promoted to division chief of the Ben Lomond Conservation Camp last week, and Ian Larkin of Santa Cruz County, who was promoted to administrative chief in charge of human resources and finances in January 2012. Jalbert also said he’ll be focused on fine-tuning state responsibility area boundaries and working through the fiscal challenges the state and his unit are facing. The unit chief, who will work out of the Felton Cal Fire headquarters on Highway 9 and an office in San Mateo, is also excited to continue Cal Fire’s partnership with the volunteer departments in the area. ‘There is a very cooperative spirit in Santa Cruz,” he said. Jalbert is married with a 2-year-old daughter, and he and his wife are expecting twins within a couple of weeks. Arsonist Rickie Lee Fowler as been sentenced to death for murdering five men who died of heart attacks during the Southern California wildfire known as the "Old Fire" decade ago. Superior Court Judge Michael Smith had the option of sentencing Rickie Lee Fowler, 31, to the harshest penalty death or life in prison without the possibility of parole on Monday after hearing from some of the victims' family members he was sentenced to death . Fowler was convicted in August of five counts of first-degree murder and two counts of arson. A jury later recommended a death sentence for Fowler. Prosecutors say Fowler lit the fire to burn down a house in 2003 out of rage after he was thrown out of a house where his family was staying. The Old Fire scorched 91,000 acres east of Los Angeles and destroyed 1,000 buildings while burning for nine days. Fowler became a suspect after witnesses reported seeing a passenger in a white van tossing burning objects into dry brush. Investigators interviewed Fowler several months after the fire but didn't have enough evidence to file charges until six years later. Fowler was serving time for burglary when he was charged with starting the blaze — one of many fires that raged simultaneously throughout Southern California. He was convicted of sodomizing an inmate and sentenced to three terms of 25 years to life while in prison awaiting trial. Prosecutors at the arson trial portrayed Fowler as a sadistic felon who raped, robbed and tortured people throughout his life. #CaFire Update 12-27-13 1800hrs: CA-BDU-Spring Fire southeast of Bishop (Inyo County) is now 15 acres & 75% contained. Forward spread stopped. 12-27-13 1600hrs: Firefighters are battling a 20 acre fire off Warm Springs Rd, east of the Owens River, southeast of Bishop (Inyo County). It is with great sadness that I must deliver news of the passing Sonoma-Lake-Napa Unit, Battalion Chief Karen Shubin. Karen passed on January 23, 2013, in her Napa home, surrounded by her family, after a courageous two-year battle with cancer. Karen spent her career in both LNU and MEU and her final assignment was B-1412, in the West Division of LNU. The family has asked for privacy during this time. A public visitation will occur on Monday, January 28, 2013, from 4:00 to 7:00 PM. This visitation will be held at Tulocay Cemetery in Napa, located at 411 Coombsville Road. The service will take place on Tuesday, January 29, 2013, at 10:00 AM at St. Mary's Episcopal Church, located at 1917 3rd Street in Napa. Immediately following the service, a procession will take place from Napa to Valley Memorial Park in Novato for burial. Presentation of flags and the "Last Call" will take place at the gravesite. Class A uniforms have been requested by the family for all uniformed personnel. Those individuals who do not have a Class A uniform are requested to be in long sleeve work uniform with black tie. Agencies who wish to attend the service are requested to RSVP no later than 9:00 AM on Monday, January 28. The church where the memorial service will take place is in a residential neighborhood, which places limits on parking availability. We are requesting the CAL FIRE Units as well as local government agencies and volunteer departments limit their participation to one vehicle each. Parking for agency vehicles will on 3rd Street with access off of Jefferson Street. Additional personnel and vehicles such as sedans and pickups are welcome to attend and may park in the surrounding residential neighborhoods. More detailed information will become available over the weekend. Please email your RSVP to the following address: karenshubinmemorial@ nospam gmail.com. Include the agency name, vehicle number and type, and number of people on board. If any additional personnel will be in attendance, please identify if they will be arriving in an agency vehicle along with how many people will attend. If you have any additional questions, please post them to the email address, as this will be monitored and answered in a timely manner. For those who would like to help defray the family's medical and other costs, please send donations to The Shubin Family Trust, Rabobank, 700 Trancas St., Napa, CA 94558. SOLEDAD — Local volunteer firefighter Jose Perez was honored and recognized for his service to the fire department and the City of Soledad at the last city council meeting on Jan. 8. “The only thing that I regret is that I didn’t get the opportunity to work with him like I would have liked to,” said new South County Cal Fire battalion chief Josh Campbell. Deborah Mills/South County Newspapers - At the last city council meeting, volunteer firefighter Jose Perez was honored and recognized for his service to the city. His family attended (back left), his eldest son Keith, his wife Chela, Jose (front left) and sons Michael and Christopher, and they were also honored by the residents that attended the meeting. Perez volunteered for the fire department for 16 years. He started out when he was 28 years old back in 1996, when it was an all-volunteer fire department. A Cooperative Agreement between the San Miguel Fire Protection District and CAL FIRE began on Dec. 31, 2012. The symbol of the Firefighter’s Badge is the Maltese Cross, a symbol of protection. It means that the firefighters wearing the cross are willing to lay down their life, if need be, to protect the lives of others. It is certainly a firefighters’ badge of honor, denoting courage, training and the ability to work at death’s door. During this colorful and moving tradition, family members of the newly welcomed firefighters pinned the badge on their loved one. A Cooperative Agreement between the San Miguel Fire Protection District and CAL FIRE began on Dec. 31, 2012. The transition creates a new generation of cooperation, through a reduction of redundant staff positions, while maintaining firefighter staffing at all eight fire stations. On Sept. 25, 2012 the San Miguel Fire District Board voted unanimously to approve a five and a half-year agreement. Board President Chris Winter said the Cooperative Agreement "allows the District to proceed with a balanced budget, maintain the current level of service for our residents and provide for the long-term viability of the District." Update: A Brazilian nightclub where hundreds died in a fire Sunday was about 1,000 people over capacity at the time of the blaze, a fire official said. "When I arrived, we analyzed the preliminary scene and saw that there was a 1,000 maximum capacity but we understood there were about 2,000 there," said Guido de Melo, a fire official. BRASILIA, Brazil -- A deadly fire swept through a crowded nightclub in southern Brazil early Sunday, killing at least 245 people attending a university party and leaving at least 200 injured, police and firefighters said. It appeared to be the deadliest nightclub fire in more than a decade. Television images showed smoke pouring out of the Kiss nightclub as shirtless, young male partygoers joined firefighters in wielding axes and sledgehammers, pounding at windows and walls to break through to those trapped inside. Teenagers sprinted from the scene desperately trying to find help - others carried injured and burned friends away in their arms. "There was so much smoke and fire, it was complete panic and it took a long time for people to get out, there were so many dead," survivor Luana Santos Silva told the Globo TV network. Silva added that firefighters and ambulances responded quickly after the fire broke out, but that it spread too fast inside the packed club for them to help. Michele Pereira, another survivor, told the Folha de S. Paulo newspaper that she was near the stage and that the fire broke out after band members lit flares. "The band that was onstage began to use flares and, suddenly, they stopped the show and pointed them upward. At that point the ceiling caught fire. It was really weak but in a matter of seconds it spread," Pereira said. Civil Police and regional government spokesman Marcelo Arigoni told Radio Gaucha earlier that the total number of victims is still unclear and there may be hundreds injured. Officials earlier said 180 were killed. Rodrigo Moura, identified by the newspaper Diario de Santa Maria as a security guard at the club, said it was at its maximum capacity of between 1,000 and 2,000, and partygoers were pushing and shoving to escape. Ezekiel Corte Real, 23, was quoted by the paper as saying that he helped people to escape. "I just got out because I'm very strong," he said. The fire led President Dilma Roussef to cancel a series of meetings she had scheduled at a summit of Latin American and European leaders in Chile's capital of Santiago, and was headed to Santa Maria, according to the Brazilian foreign ministry. "It is a tragedy for all of us. I am not going to continue in the meeting (in Chile) for very clear reasons," she said. "Sad Sunday", tweeted Tarso Genro, the governor of the southern state of Rio Grande do Sul. He said all possible action was being taken and that he would be in the city later in the day. Santa Maria is a major university city with a population of around a quarter of a million. Battalion Chief Phil Brown was promoted to division chief at Mountain Home Conservation Camp on Jan. 21. He will be responsible for supervising 10 Fire Crew Captains, five inmate crews and other office and support staff. Seven female workers were killed on Saturday in another fire at a clothing factory in Bangladesh's capital. Chowdhury Monzurul Kabir, a deputy commissioner of Dhaka Metropolitan Police, told CNN that they found seven bodies who died either in a stampede or after jumping from the second floor of the factory as the fire broke out. The police said that more than a dozen other workers were hospitalized after being injured in the incident. According to CNN, police and witnesses said the fire broke out at Smart Fashions Limited at Mohammadpur, located in the inland city of Dhaka. The fire quickly spread to the second floor where several hundred people, mostly women, were working. The fire on Saturday comes two months after the country's worst clothing factory fire that killed 112 people at Tazreen Fashions Limited on the outskirts of Dhaka. It also coincides with a visit to the Bangladeshi capital by a U.S. congressional delegation aiming to assess the safety of clothing factories in the South Asian nation, the report said. The Smart Fashions Limited factory employed more than 300 workers and did not have proper fire safety measures, according to a fire service and civil defense official. The San Jose Fire Department has likely missed its response-time targets more often than previously reported due to a data collection error. Jan. 24--SAN JOSE -- The San Jose Fire Department has likely missed its response-time targets more often than previously reported due to a data collection error, but officials would not speculate Thursday what the actual figures might show. Chief William McDonald had alerted the mayor and City Council in a memorandum three weeks ago that there was a problem with the response time reporting, a key performance measure used to gauge how quickly firefighters arrive after an emergency call. But at a public safety committee meeting Thursday, fire officials who explained how the data error occurred would not say what the actual response times might be. "I'm not going to speculate," said Deputy Chief Gaudenz Panholzer, adding that the department expects to collect correct data going forward, but that comparisons with past years may prove difficult. The response-time issue has become a political hot-potato after years of Fire Department cutbacks as the city struggled to close budget deficits driven by a sharp rise in employee retirement costs. Firefighters accused city leaders of jeopardizing public safety with budget cuts while city leaders argued the cuts stemmed from benefit increases the city couldn't afford. Robert Sapien, president of the San Jose Firefighters union, said the city should disclose the response time figures that show the consequences of staffing cuts. priority to disclose this critical information," Sapien said. "Reduced staffing has increased emergency response times." No one made a political case of the response times at Thursday's meeting. But Councilman Pete Constant, the committee chairman, called it "unfortunate that some organizations have tried to politicize this thing." He said the notion that fire administrators manipulated response time figures to somehow "screw the public" is "false." The city Fire Department's response time goal is for firefighters to arrive within 8 minutes of a call 80 percent of the time. McDonald acknowledged that the national standard actually is 6 minutes 90 percent of the time. Panholzer explained that the response time reporting flaw arose with the department's switch to an electronic data management system in 2008. One of the problems is that data were collected for the "first due" engine rather than the "first arriving" unit. Panholzer said the data collection error didn't change actual response times or affect decisions on which fire stations to close but did affect how those closures were evaluated. "The response time fell in those areas," Panholzer said. "But we don't know how much." A bark-beetle infestation is killing trees throughout the West. Don’t blame bark beetles for catastrophic wildfires such as the blaze that blackened more than 23,000 acres of Kittitas County last summer, some scientists say. In a peer-reviewed paper published this week in Natural Areas Journal, scientists say they found through a literature review that bark beetles do not substantially increase the risk of crown fire in lodgepole pine and spruce forests, as commonly assumed. Instead, they concluded, the fires are primarily caused by dry conditions exacerbated by climate change. And as long as severe droughts continue, so will wildfires, regardless of beetle populations, the scientists determined. The paper’s findings are similar to those reached by University of Wisconsin researchers in 2010. That research team used NASA satellite data to identify large swaths of beetle-killed forests near Yellowstone National Park. The team compared maps of recent fires with the maps of beetle-killed forests. They were surprised to learn large fires did not appear to occur more often or with greater severity in forest tracts with beetle damage. In fact, in some cases, beetle-killed forest swaths seemed less likely to burn because the fire stalled out in the dead trees that had lost their needles and branches. The common link between beetles and fire wasn’t what they had assumed — beetle-killed trees stoking fire — but something else: climate change. Warmer, drier weather was fueling both drought and beetle populations. After combing through hundreds of scientific studies, another team of scientists has reached a similar conclusion, that beetle-killed trees don’t necessarily stoke crown fires. They, too, concluded that depleted stands of beetle-killed trees might pose less, not more, risk of crown fire because of gaps caused in the forest canopy as branches drop. And the scientists found that drought, not beetle damage, was the real fire risk. “It’s natural enough to look at a landscape that is covered with trees recently killed by bark beetles and, therefore, worry about fire risk,” said Dominik Kulakowski, assistant professor of geography and biology at Clark University in Massachusetts and a co-author on the Natural Areas Journal paper. Further, beetle damage can have the effect of thinning forests, reducing the ability of crown fires to spread. “If you look at a forest that was affected by beetle outbreak five or 10 years ago, you are talking about something like trying to set fire to a row of telephone poles; there is less to carry the fire,” Kulakowski said. The authors of the Natural Areas Journal paper, including another scientist from Colorado State University, also found that as long as severe droughts persist, so will the risk of wildfire — beetles or not — as forests dry out. Climate change poses the real threat to forest health because of both drought and warmer winters. Beetle populations can flourish without a killing winter cold. Department of Natural Resource (DNR) surveys have found more acres of bug-infested forests in Washington than in the past 40 years, with about a third of the state’s forestland east of the Cascades at risk for die off and tree damage from bugs and disease. Of course, that could create more fuel on the forest floor, which could stoke ground fires, cautions Glenn Kohler, a forest entomologist with state DNR. “These things can cut both ways,” he said. Homeowners also are encouraged to thin trees around their property to ward off beetles by reducing competition among the trees, Kohler said. Scott Black, of the Xerces Society, a Portland-based nonprofit group dedicated to invertebrate conservation, is a co-author of the paper in Natural Areas Journal. He said the findings do sound a cautionary note on large-scale thinning operations on bark-beetle-killed trees as a way to control fire. It won’t solve the problem, he cautioned, and could do more harm than good by adding roads to forested areas and fragmenting habitat, or by causing siltation in streams. Kulakowski argued that picking the right tool for the job also is the best use of limited money and staff. 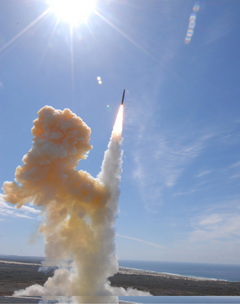 The Missile Defense Agency (MDA) successfully completed a flight test of a three-stage ground-based interceptor (GBI), launched from Vandenberg Air Force Base, Calif., at 2 p.m. (PST) today. MDA media contacts are Deb Christman, 719-338-1071, debra.christman@mda.mil, and Rick Lehner, 571-231-8212,richard.lehner@mda.mil . 1/26/2013 - VANDENBERG AIR FORCE BASE, Calif. – Tech. Sgt. Erik Snyder, a 30th Comptroller Squadron quality assurance manager, conducts a bag-drag in preparation for a unit compliance exercise deployment here Friday, Jan. 25, 2013. A mobility bag consists of items essential for an Airman to have when tasked to deploy at a moments notice. Every year, uniformed firefighters, family members and dignitaries from throughout California gather together during the California Firefighters Memorial Ceremony in historic Capitol Park, adjoining the California State Capitol in Sacramento, to pay tribute to those firefighters who gave their lives to protect the lives and property of Californians. Continuing a solemn and sobering autumn tradition , the sacrifice of hundreds of California firefighters is remembered on the brushed limestone walls of the California Firefighters Memorial at the State Capitol in Sacramento. This beautiful tribute, embodying over 10 years of work by California Professional Firefighters, depicts both the heroism of the profession and the anguish felt when a firefighter falls in the line of duty. The California Firefighters Memorial carries the names of more than 1,200 firefighters who died in service since California became a state in 1850.